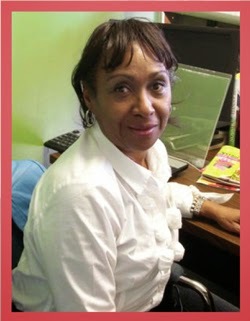 Iris Robinson is a dependable servant who exemplifies poise, grace and excellence. CPC’s President Toby DeBause remarks, “If I see Iris, I know it’s Friday.” Because of the excellence and quality she brings to the position, CPC’s admin staff does not hesitate to request her help in training new receptionists. Iris is here to help in whatever way she can, with no need for fanfare or recognition. She has a knack for seeing a need before it has been spoken and taking whatever steps are necessary to handle it. In addition to her positive attitude, she encourages those around her by the constant, quiet prayers and Scripture reading she does when work is slow. Iris, you have been an enormous blessing to the ministry of CPC — we are grateful for your service and keep you in prayer! If you are interested in joining CPC's volunteer network, register to attend CPC 101 on November 6! Connect with our volunteer manager, Lisa, at lisa@cpcot.org or www.cpcfriends.org/volunteer for more details.